Award winning Barcelona Hostels. Modern Facilities. Great Locations. Fun Activities. The best Hostels Barcelona for good times and great accommodations. El Carmel Bunkers offer the best view in Barcelona! The Bunkers were originally built during the 1930’s Spanish civil war, where they were used to help defend against attacks, and store firearms. Today the historic area has been partially restored to improve safety and accessibility. Luckily, it has managed to retain the charming dishevelled appearance that makes it so special and unique. For a long time this stunning 360-degree view was a hidden gem, a secret among locals. But it’s impossible to keep a view like this a secret for long. 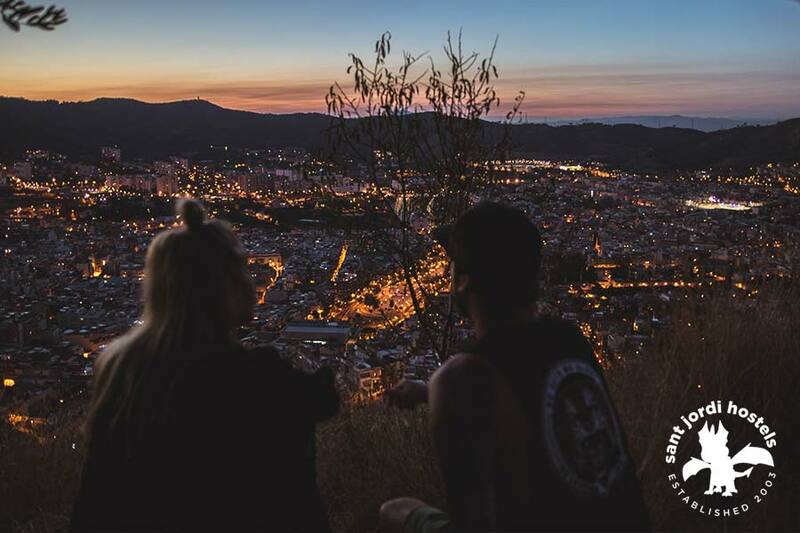 Found in the El Carmel district, The Bunkers offer a Barcelona breathtaking view of the city. The appearance of Barcelona against the seascape is constantly changing depending on the time of day. From sunrise to sunset and daytime to nightfall expect to get a different impression. Each timeframe is beautiful, and each is unique in it’s own way. Although, the Barcelona sunset view is exceptionally beautiful – which is why it tends to be the busiest time to visit. This could also be because everything happens a little later in Barcelona and people rarely wake for sunrise. The Bunkers gives you the best Barcelona views and is a great place for a picnic! Whether you’re there for solitude, a romantic rendezvous or a few cheeky drinks with friends – it always delivers a great atmosphere. Bring some snacks, find a spot, perch up and enjoy the view with a glass of vino in hand. As the sun sets behind you, the ambient orange streetlights begin to illuminate the renowned grid formation of the streets. Watching the city turn from day to night accentuates how beautifully it has been designed. El Carmel area is mainly residential with the exception of a few of small shops. Try to bring what you need from home. If you’re the sporty type, a fantastic way to wake up is with a little hike to The Bunkers. Get those endorphins pumping, amigo! As it requires a bit more dedication, this view is particularly rewarding, and certainly not as busy as the previous. What better way to welcome in the new day than by watching the sun slowly rise over the shimmering Mediterranean ocean… Now that the city is flowing with light, sit back on one of the old concrete platforms and bask in Gaudi’s architectural genius. Notice how the Sagrada Familia towers above the other buildings surrounding it. It’s undeniably amazing! On the way back down, there is a cute Spanish bakery on Carrer de Mühlberg, where you can grab a takeaway coffee and croissant if you need refuelling. It’s super easy to reach the park from our Sagrada Familia Skate Hostel! Catch bus 92 from Carrer de la Independencia (100m from the hostel). Stay on the bus 16 stops until you reach Ctra del Carmel – Mühlberg. This takes around 20 minutes. Now it’s a mere 10-minute walk ascending up the hill until you’ve reached Barcelona’s best viewpoint! If you are looking for a place to stay near this incredible place, the Sant Jordi Hostels – Sagrada Familia by Sant Jordi Hostels Barcelona is the best option for you. This Hostel is one of the most beautiful hostels in Barcelona which will provide a good night sleep after this rad mission to the Bunkers. 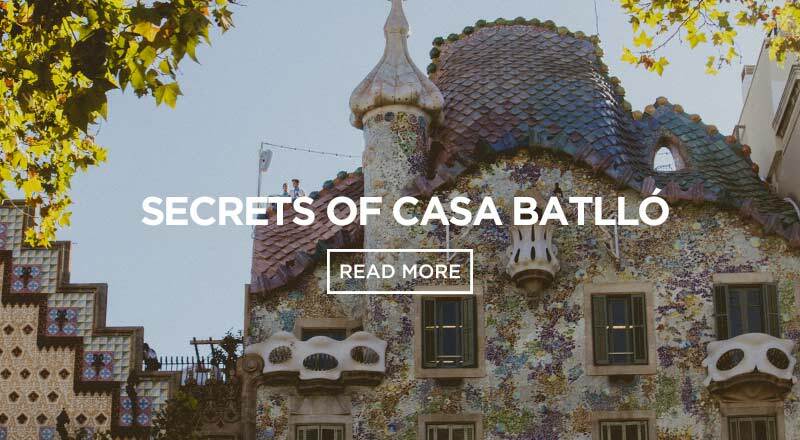 Everything you need to know before you go to Casa Batllo, one of Barcelona’s largest tourist attractions. 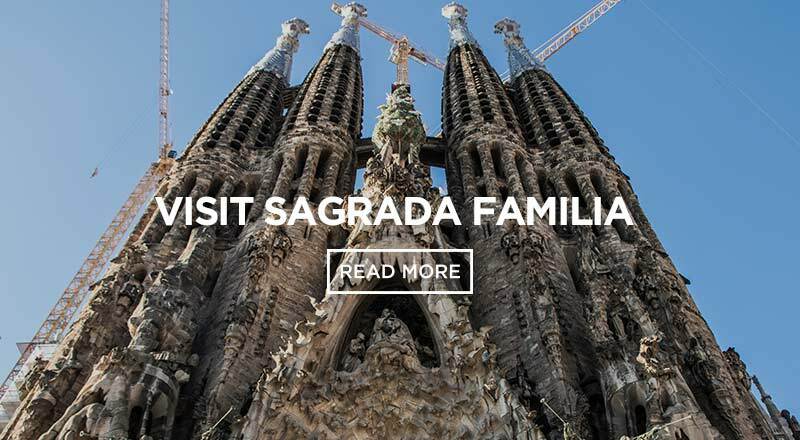 A guide to seeing the Sagrada Familia. Tips, tricks, and basic info for visiting this amazing site. 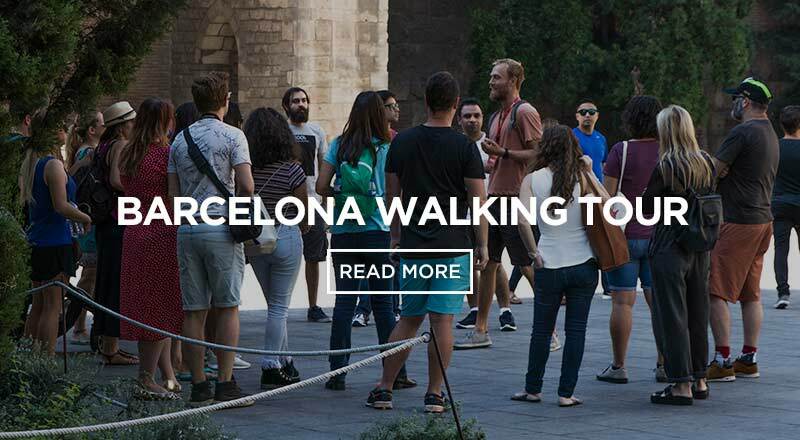 Find out about the best free walking tour in Barcelona! 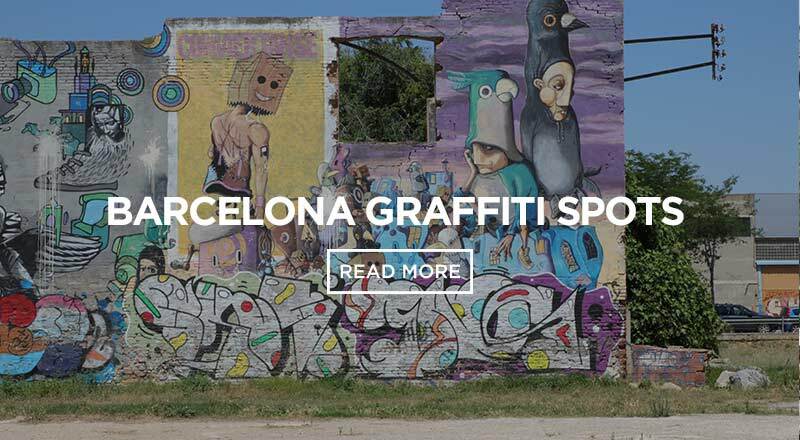 Get to know Barcelona through checking out the coolest graffiti spots in Barcelona! 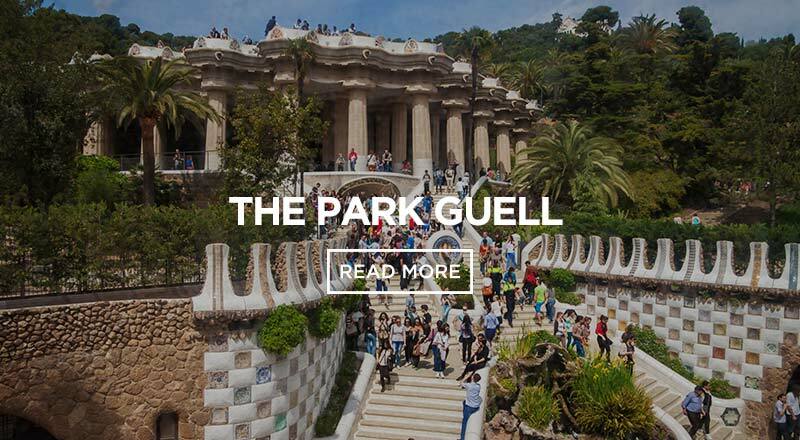 The Park Guell is a Barcelona must see. This guide will enjoy it to the fullest. 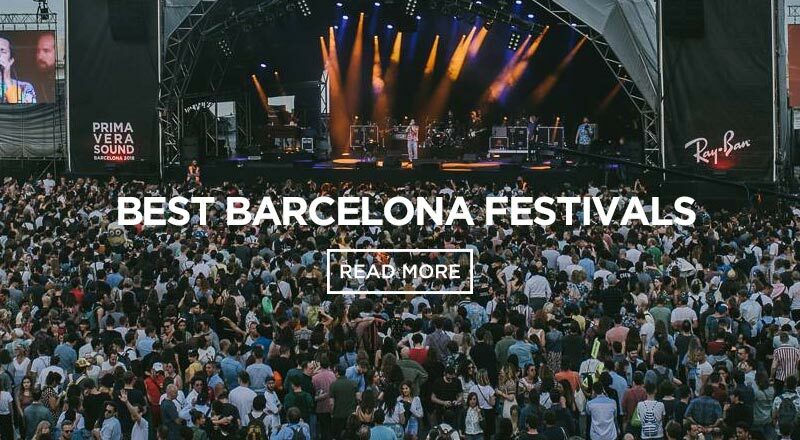 Experience the best Barcelona has to offer with this ultimate Barcelona festivals guide! It pays to book direct - get the best price and more!